Like everyone, you too would be interested in doing this set of free yoga exercises meant for just you! 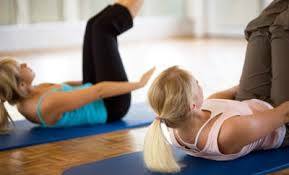 These free yoga fitness exercises will instruct you on how to practice yoga exercises; you just need to have a discipline and confidence to yourself in performing the exercises. 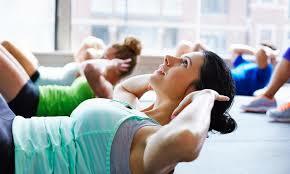 Start these yoga fitness exercises with the warm up exercises to relax and prepare your muscles for the next exercises. After warm up you can perform the shoulder lifts the natural following exercise and the eye exercise, which can improve your eyesight and prevent tiredness. For the next exercises you can practice sun salutation which will stretch all your body muscles, this to prepare for the much more difficult exercises. Try also leg raise, which will tone your leg muscles, giving you more endurance and improved flexibility; head stand pose is also good for resting some of your organs such as heart. Start with the bridge and plough poses; this will increase your back flexibility. It might look difficult to perform but this poses can easily reached by performing it gently. At first this exercise might not be perfect because it takes time to develop and execute them correctly. After that try forward bend pose to stimulate the nervous system and then fish pose, it tones the chest muscles and lungs. Women who suffer from menstrual problems can try the cobra pose, it stimulates the pelvic and lower abdomen area, improving the circulation and massaging the internal organs. The locust pose on the other hand can help strengthen the lower back. Locust pose is also known to help prevent constipation. The bow is another pose that will help your back area remain strong and flexible at the same time and abdominal fat my also be reduced if proper diet is applied. Furthering this yoga exercise you can try the half spinal twist pose for your spines. You can improve your joints and arm strength by the crow pose; this will give you more breathing capabilities. Then followed by hands to feet pose and the triangle, the pose requires your body’s strength and flexibility. For the final perform the corpse pose to regain any energy that has been lost during these free yoga exercise and also to rest your body.